We have had a delightful fall here in Bamfield so far. The sun is still shining, but the air is crisp. 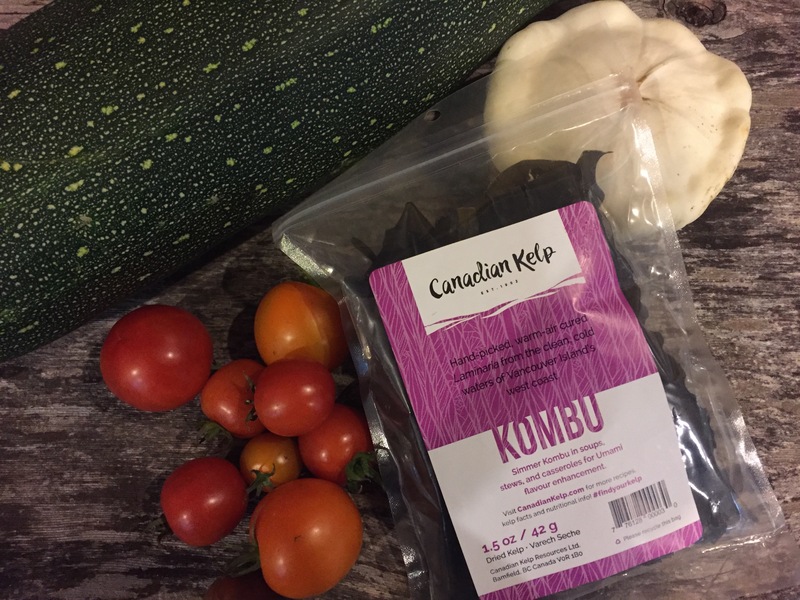 Cozy fall evenings call for some of our favorite treats including the Tofino Brewing Company’s Kelp Stout made with our Kombu. We are also enjoying the bounty from our gardens and pairing our harvest with Kombu! Preheat even to 350 F.
Soak dried Kombu in water until softened. Lay strips of Kombu in bottom of overproof baking dish and layer remaining vegetables on top. Sprinkle on the salt, pepper, ginger and garlic. Sprinkle water over all. Cover and bake for 30-45 minutes or unitl the vegetables are cooked. Serve immediately. This recipe can be found in Pacific Seaweeds. It serves 4-6 people and you can substitute other vegetables you may have on hand. Clean, and soak the beans the night before in plenty of fresh water. Boil beans with Kombu for half and hour. Remove Kombu and cut into fine pieces and reserve. Continue to cook beans till done, then drain and stir in Kombu pieces. In a large cooking pot, heat olive oil and add onion, then add garlic, and fry till onion is translucent. Add cleaned and chopped beet stems, then after a few minutes add beet greens. Add cooked navy beans and Kombu to pot, and stir in chopped dill, lemon zest and lemon juice, salt and pepper. This recipe was submitted by Erika Faith from Saskatoon, Saskatchewan. If you have a favorite kelp recipe to share, contact us. We would love to hear from you, and your recipe may be featured on our blog!